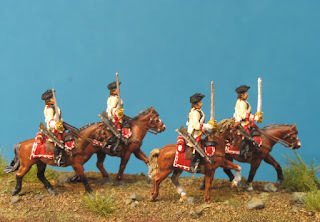 long time after my last post . The chemo have ended and it seam that I won the fight against chancer. 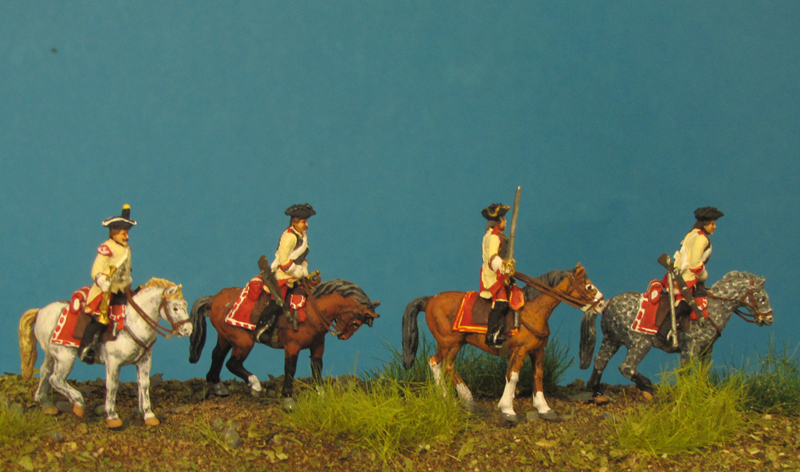 Now the third CT without anymore new chancer, so I could start now planning some more better for the future. 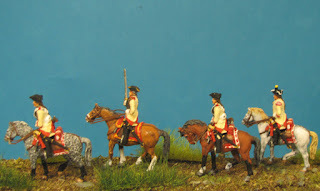 Also come back into the hobby and the business. 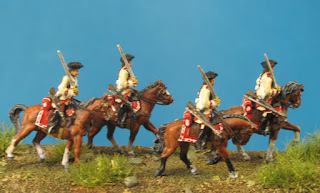 In the time of my illness my friendly sculpterer go on with working, so now a realy lot of ready sculpted figure are waiting to be produced. So thank you very much to Max Hecker, Guiseppe Condorelli, Stanislaw Czarnecki and Martin Feldwick for there excelent work in this time. 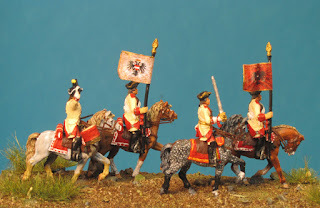 This is all over the old time periods and some new are coming ! 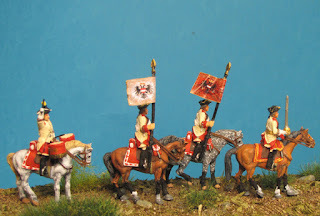 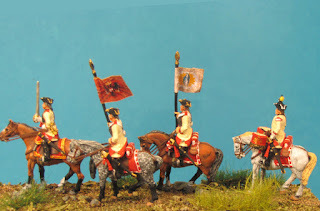 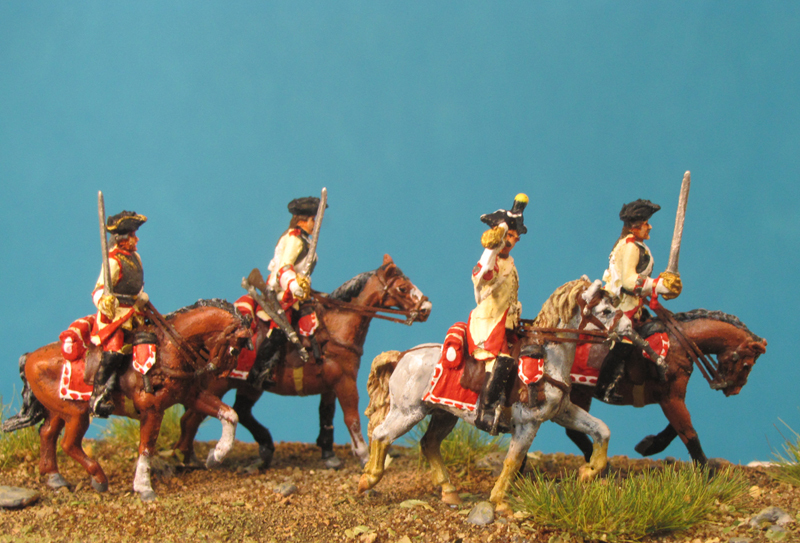 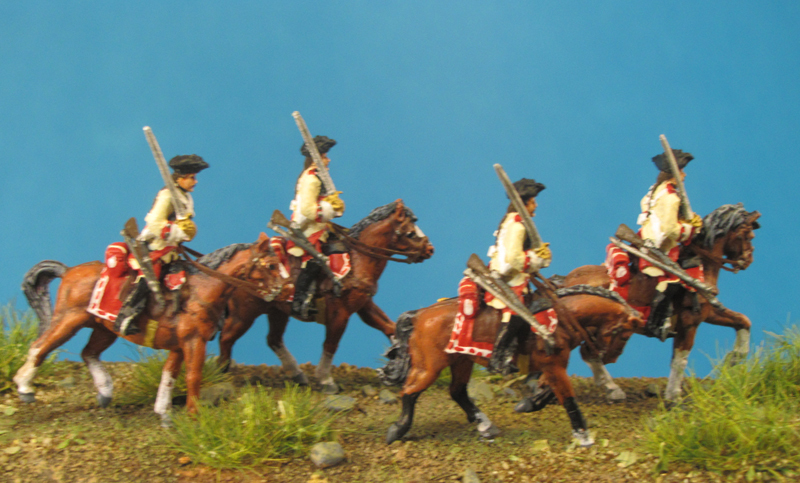 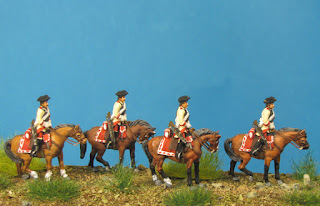 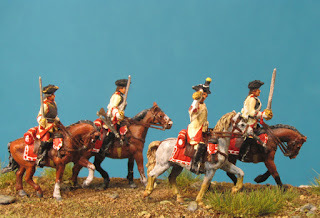 The first blog this time is the SYW Austrian Cavalry . 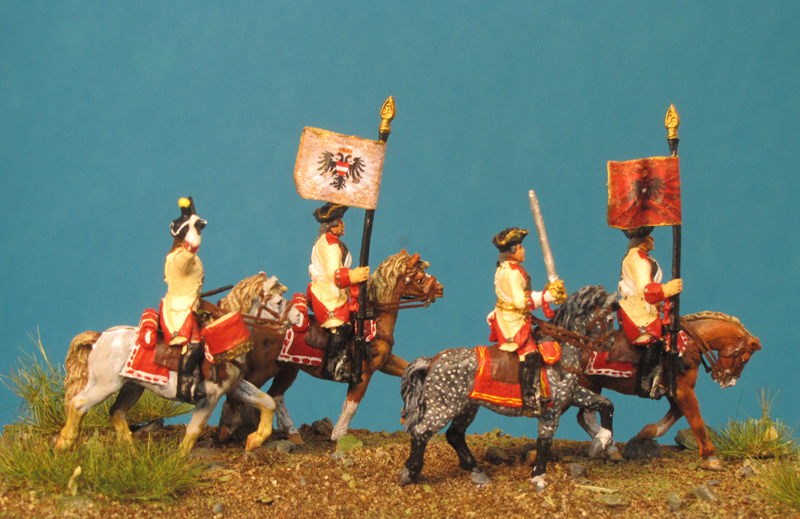 Giuseppe sculpted the Austrian Dragon , Hussar and Cuirassiere on standing and trotting horses. 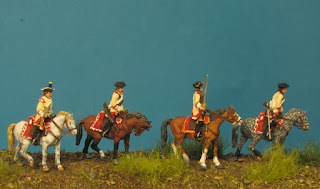 The attack groups on galopping horses follow later. 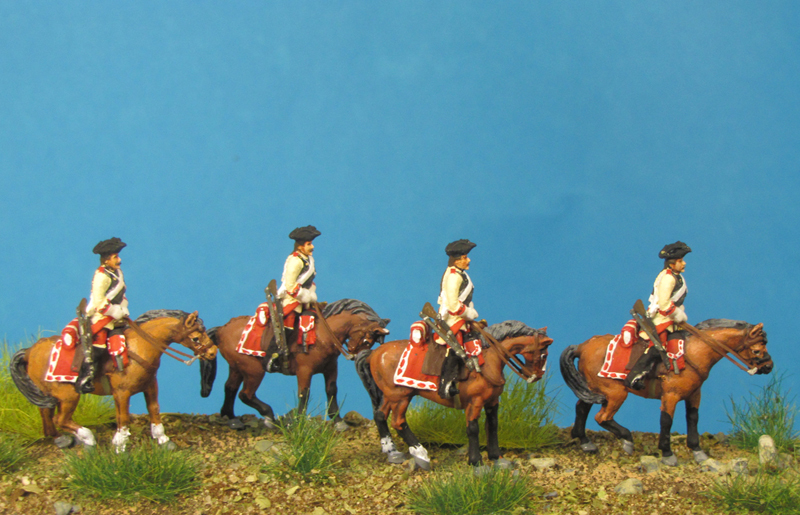 Here my painting of the first sets of the cuirassiere. 2 standart bearer with the standarts for 1st Cuirassier Rgt. 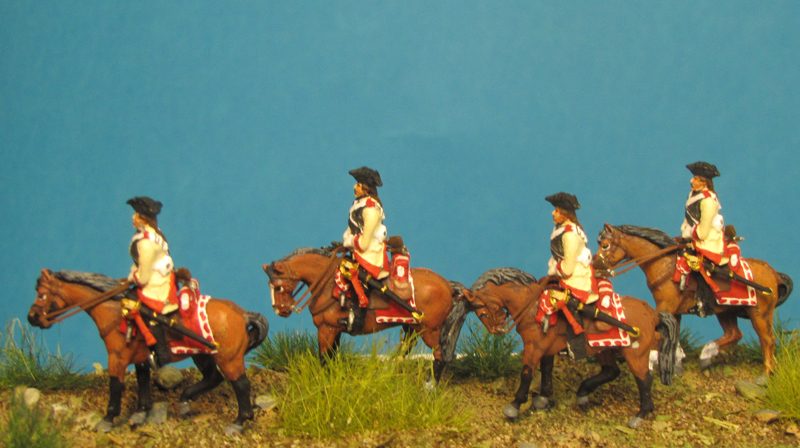 Hope you enjoy this new troops for SYW.